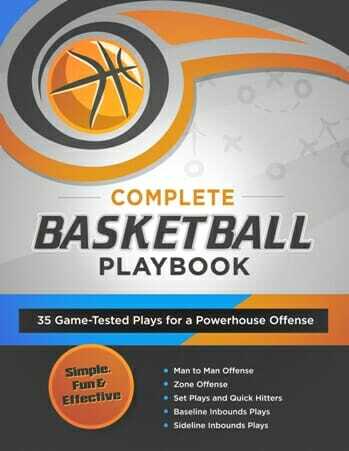 Here is one of our favorite basketball passing drills; it is an offensive basketball drill. 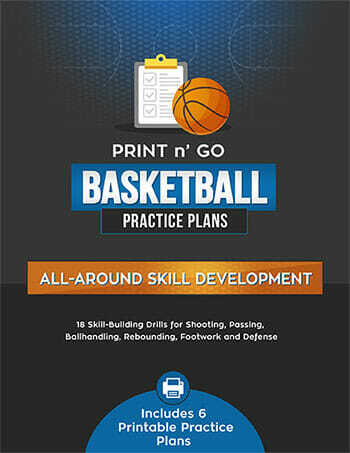 This drill improves footwork, passing skills, and works on game like 3-pointers. It takes 3 players who then rotate after 3 shots. 1. 1 player at the point, 1 player at the wing (either side) and 1 player loosely guarding the wing player. 2. 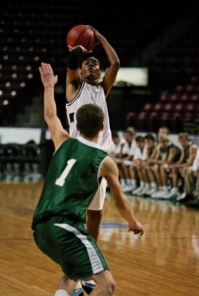 The player at the point has the ball. 3. The wing player makes a V-cut, coming back to the 3-point line. 4. Point player passes him the ball, he fakes a shot, passes back to point, makes another V-cut back to 3 point area, receives another pass from point, fakes another shot, passes back to point, makes one more V-cut to 3 point area, takes the pass and shoots the 3. 5. The 3rd player stays in a zone area defending the wing player loosely (letting him get the passes). On the actual shot he goes up with the shooter, making him shoot over him. 6. 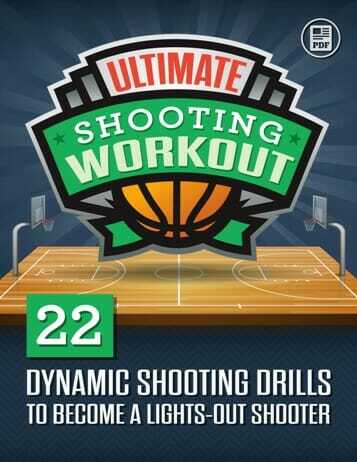 The players then rotate and do the drill over until all 3 have had the chance to shoot.